A couple more live shows that you may or may not already know about. On Saturday 11 March we’re back at Don’t Falter in Leeds supporting T.O.Y.S. We had a lovely gig there a couple of years ago and are looking forward to going back. It’s a family-friendly tea time show with indie disco afterwards. Then we’re excited to be playing at the last-ever Going up the Country festival in Congleton on Saturday 10 June. 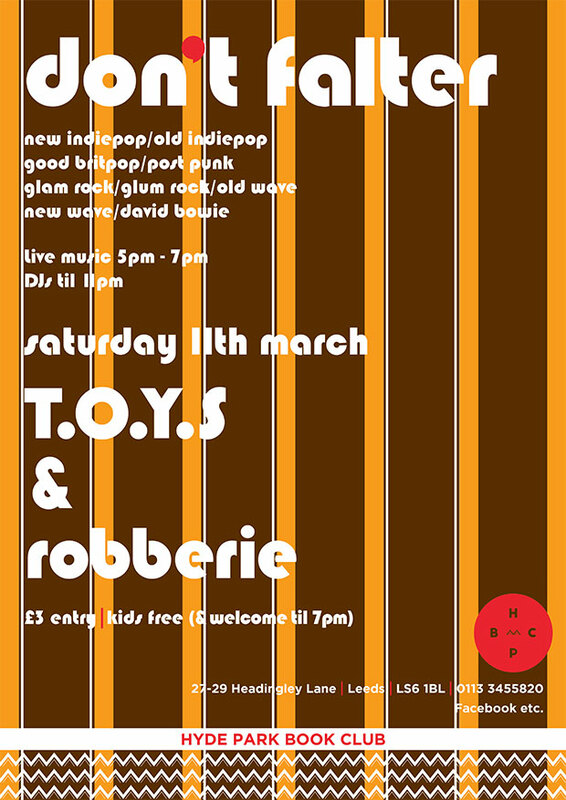 The line up already looks wonderful, including The Popguns, Colour Me Wednesday and our friends Pete Green and MJ Hibbett.